FACT CHECK: Did Pipe-Bombing Suspect Cesar Sayoc Attend Donald Trump Rallies? 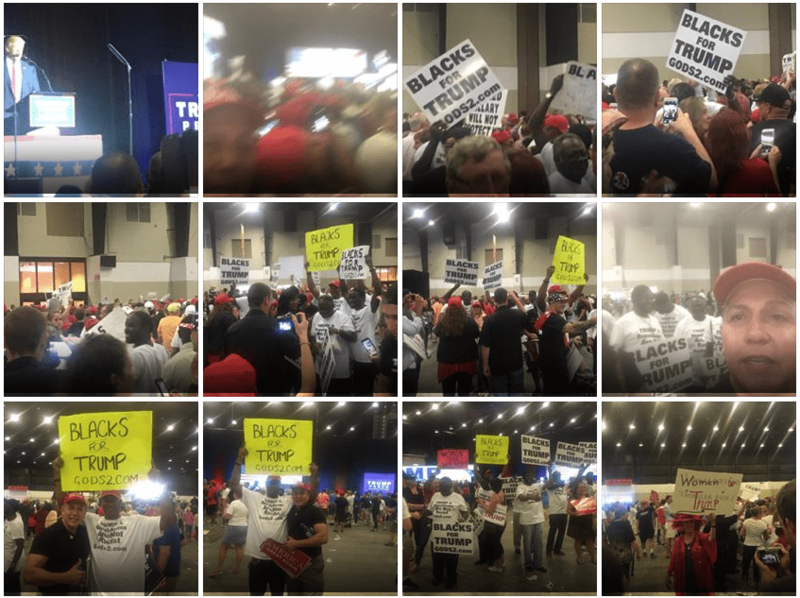 Video and photographic evidence establishes beyond doubt that Sayoc attended at least two Trump rallies, both during the 2016 campaign and after the president's inauguration. Photographs and videos show pipe-bombing suspect Cesar Sayoc in attendance at Donald Trump rallies. In late October 2018, public attention turned to the background and personal circumstances of Cesar Sayoc, the 56-year-old Florida man arrested in connection with the mailing of a series of explosive devices to high-profile figures in the Democratic party, including former president Barack Obama and former secretary of state Hillary Clinton. On Facebook and Twitter, Sayoc articulated a fervent support for President Donald Trump, promoted right-wing conspiracy theories, and engaged in vigorous criticism of some of the eventual targets of the mail bomb campaign of which he was accused. Against this backdrop, social media users and the news media shared photographs and videos that appeared to show Sayoc in attendance at rallies for Donald Trump before and after the latter’s election as president, prompting inquiries from readers as to whether the images were authentic. There is no doubt that Sayoc attended Trump rallies both during and after the 2016 presidential election campaign, as he posted photographic evidence of such to his own Facebook account. Since his arrest, others have retrieved and published video footage which corroborates his presence at more than one such rally. Furthermore, the web site Heavy.com compiled many more photographs taken from Sayoc’s Facebook and Twitter profiles before they were removed from the social networks in the aftermath of his arrest. These included the photograph shown in the “Politicked” meme. On 28 October, the filmmaker Michael Moore corroborated Sayoc’s attendance at the Melbourne, Florida, rally when he published raw footage from that event which he recorded during filming for what would later become his documentary Fahrenheit 11/9. Trump’s words in the video were “You take a look at these people, you study these people.” After consulting the Internet Archive’s “Trump Archive,” we can confirm that then-candidate Trump delivered these lines, in this exact cadence, at a rally in West Palm Beach, Florida, on 13 October 2016. This video evidence therefore establishes that, as well as enthusiastically supporting President Trump at a rally in February 2017, Sayoc also attended a separate rally in October 2016 during the campaign itself. Associated Press. 28 October 2018. The New York Times. 12 October 2018. The Guardian. 13 October 2018.